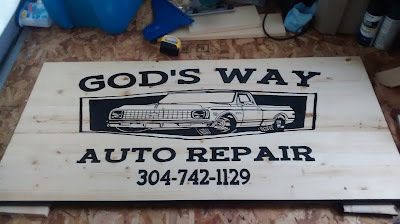 This is the sign I carved in exchanged for auto repairs, nearly completed. Not sure its an even exchange but the important point is it is also advertisement for me for free. If you are on the road that might not be a big factor but if you can exchange a little work or labor for something, that is still more money in your gas tank or food in your belly! I thought about it, though like most of the things i post here i really wanted to evaluate its effectiveness first. Its easy for people, me included, to get people hyped about an idea that might be good in theory but not be truly worth it in practice. 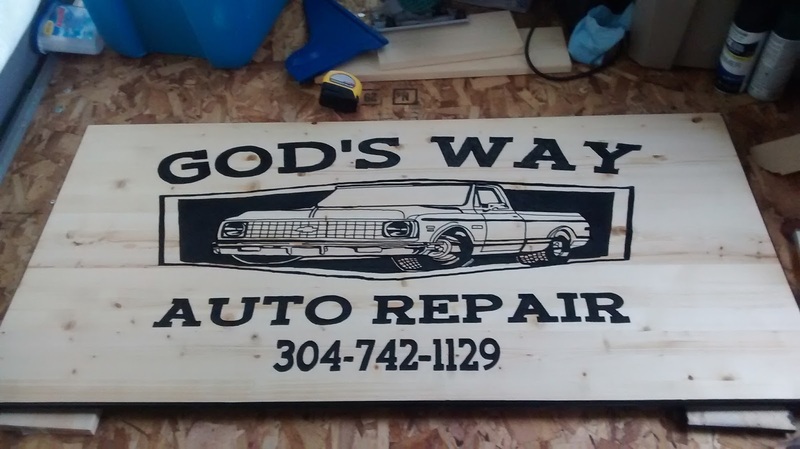 So far, im on the fence on sign carving, as i have recouped my investment but not much beyond. Even if its not, thats fine, i just want to be able to add those caveats. Great thing about barter is you get around taxes. Technically, you're still supposed to report barter income. But unless you're bartering cars or real estate or something huge, why would Uncle Sam even care? It isn't worth IRS staff hassling with.